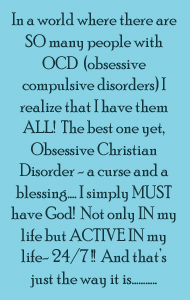 OCD-ISM | I have MANY OCD’s….welcome to my world! I just can’t seem to KEEP my blog site going. I’m trying…. This is my FIRST EVER – organized bike ride/participation for me. It’s called the HOW100. It was a VERY HILLY RIDE….and I did about die….not gonna lie. But next year…IT IS ON!!! AND HERE IS THE FINISH LINE…. (but I did burn 1280 CALORIES) WOOP WOOP!! 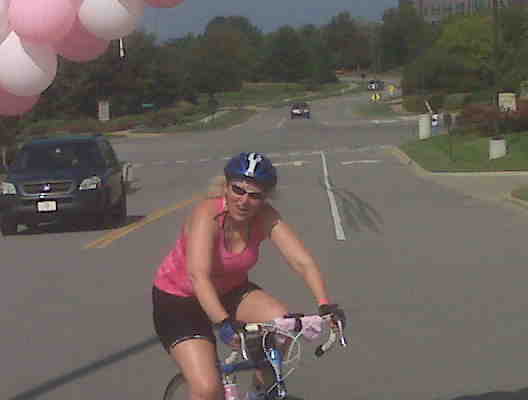 I LOVE MY BIKE – her name is FAITH! 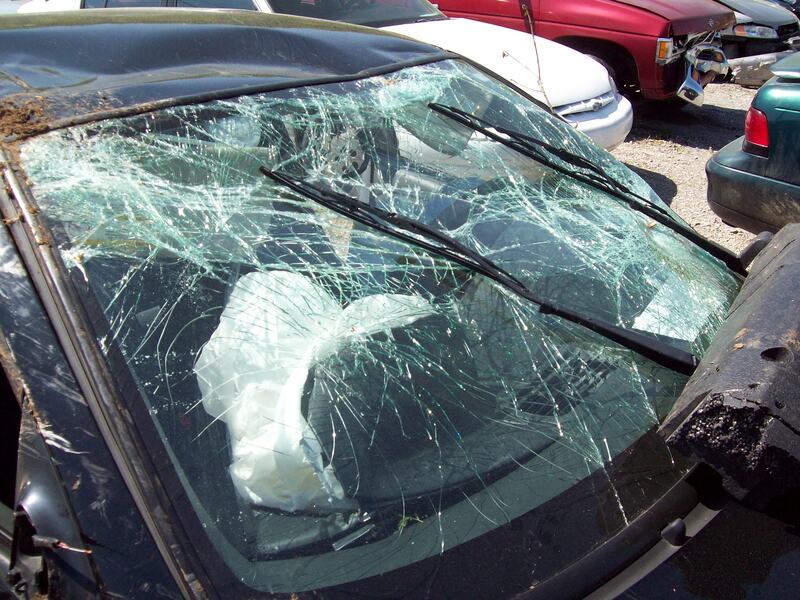 APRIL 10, 2010…. seemed like a normal Saturday morning – then the phone rang. NO ONE likes an early morning phone call. It’s almost 7:30a.m. 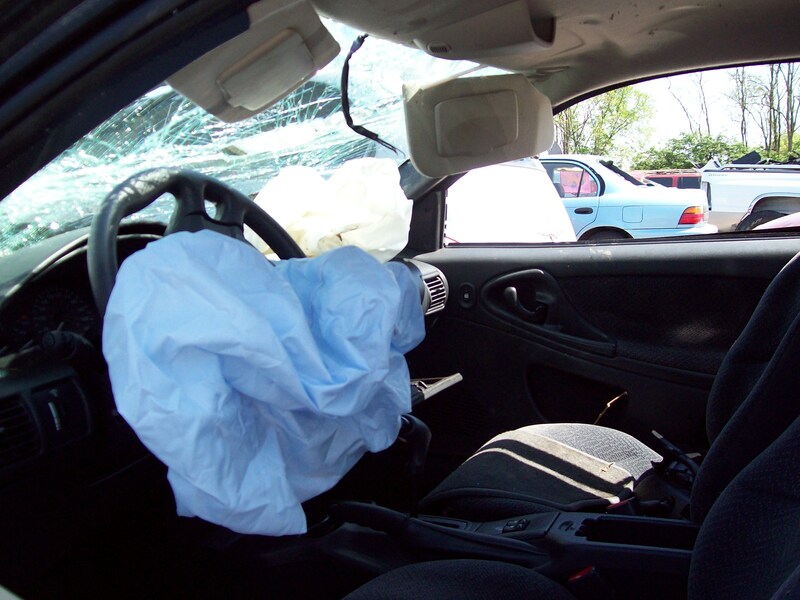 and I get a call from Karl saying Kyla has been involved in a car accident. I had just turned my cell phone on and saw her text where she said she was AT HER BABY-SITTING GIG… that text was at 7:08 am. HOW could she be in a car accident? And what kind of accident? Fender bender??? Karl didn’t know….all he knew was she was being taken to Vanderbilt Hospital. I immediately got up and threw some clothes on and just headed out 40 E… I had no idea how to get to the hospital.. I made a quick phone call to my BFF (who also went to the crash site and picked up ALL of Kyla’s stuff and found her cell phone and EVERYTHING!) and continue on. Then I get ANOTHER phone call, this time it’s the police officer- who, by the way, is SUPER nice… Mike Nieves with the Charlotte Pk. area police department. His first words were “Mom, slow down…. you will beat the ambulance there” and I immediately slowed down (not sure why, it’s not like he would have known either way) he told me Kyla fell asleep at the wheel… and that she has some injuries but nothing life threatening that he could see. I was somewhat relieved. To sum this up…. Kyla suffered a broken foot (2 places), a small punctured right lung, a bitten tongue (which was really gross) and MANY many bruises and scrapes. 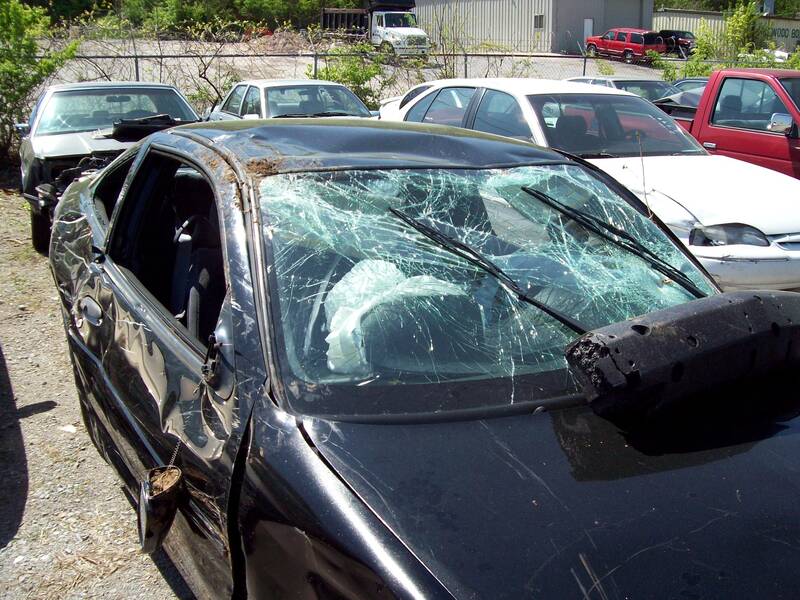 She actually flipped her car… HOWEVER, she is alive and considering the damages to her, she is well! 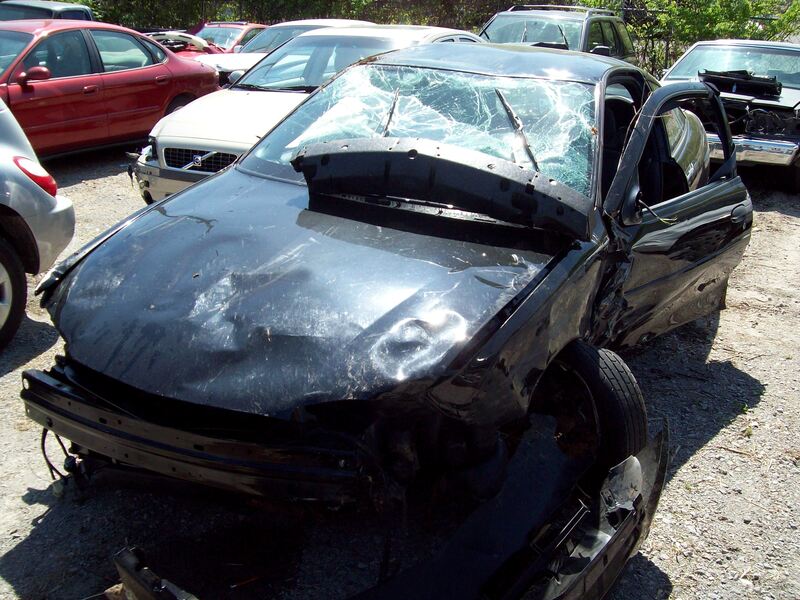 Life could have been very different days after that accident….we COULD have been preparing her funeral… we COULD have been still up at that hospital with her being brain dead…. we could have been. WE ARE GRATEFUL to GOD that HE has allowed her to continue on this earth with us. KYLA knows and realizes how blessed she is. PLEASE do not take life for granted…as we all tend to do. It is short. Every night when I lay my head on my pillow, I am thanking Jesus. EVERY night. I never want to stop. We are grateful to ALL our friends and church family who was there to help us (especially to Tom Tyndall for coming up to the hospital on his BIRTHDAY to see Kyla)… a big MWAH! We are thankful. March 17th…. 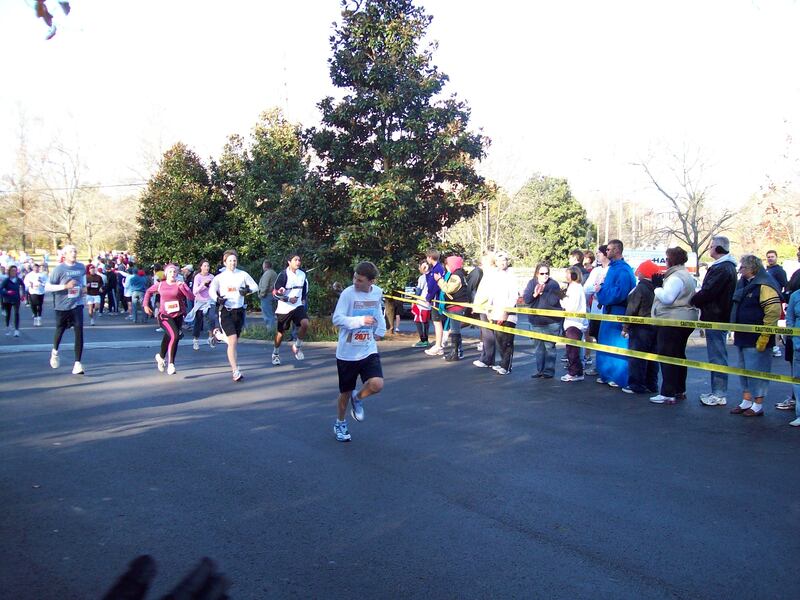 2010- Has it really almost been a YEAR since I ran my FIRST-EVER half marathon???? BTW – HAPPY ST. PATRICK’S DAY!! 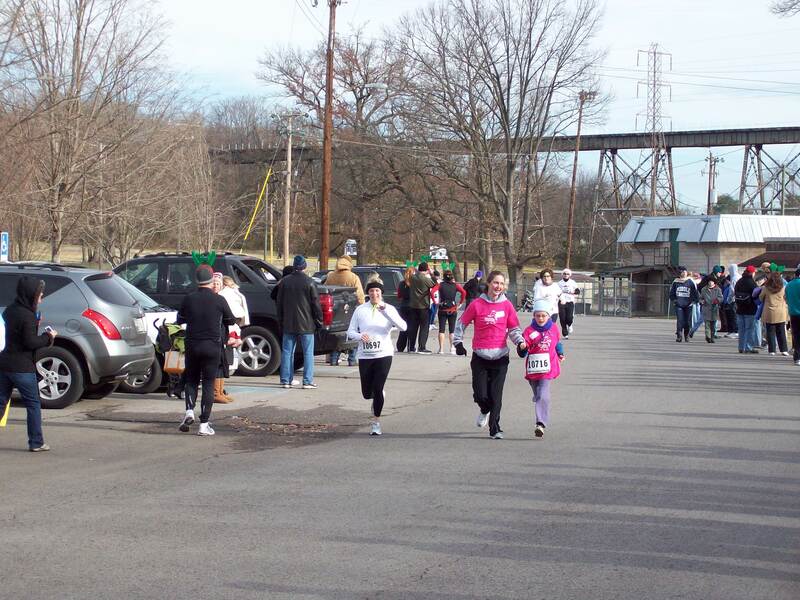 Yes, it’s been a year… and I was SO looking forward to running in it again this year – HOWEVERRRRR…. I’ve had a few set-backs. 1. My back went out on me AGAIN- while at the gym, I decided to move a 45lb. weight (and I thought it was a 20lb. weight) and pulled my lower back completely out! SO….I recouped from the back injury (slowly) and thought, well, I still have time to catch up on my miles… got in five…on my way. TILL WEDNESDAY, March 10th.. I roll outta bed and was like “WOW”…I am SO DIZZY! (no puns please) – so I think I just need to eat something (BIG MISTAKE)… I eat a cereal bar and banana… all is still spinning (and not in the cycling kinda way that I usually do-see FaceBook). 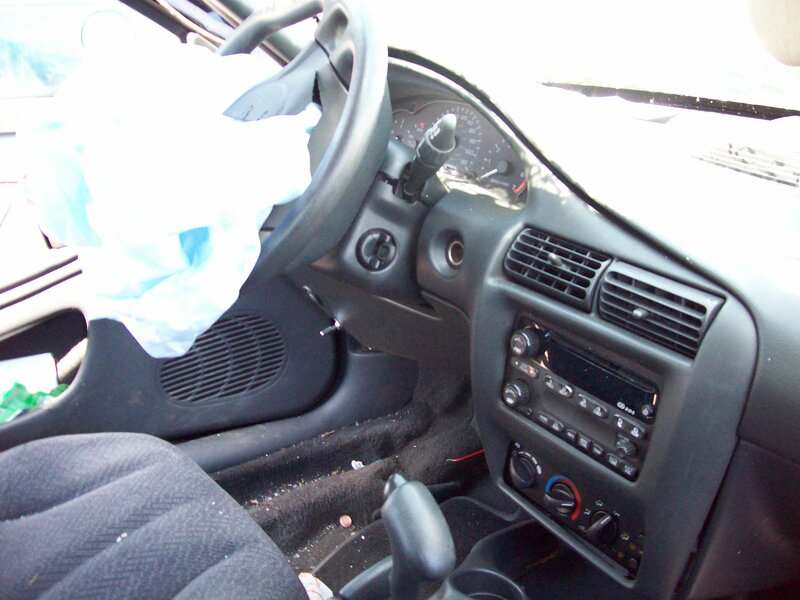 So I try to get up and walk a little bit ….uh oh.. oh no…. oh no………say it isn’t so……….. YUP, it’s so… I AM THROWING UP…. BIG TIME! I’ll totally spare you the details. NEEDLESS TO SAY, I am out of the running for THIS YEAR. I do go see a specialist TODAY (ENT) at 2:00…. yup, it’s been eight full days of non-stop spinning. I was able to get o a GP doc who gave me a shot of phennigran (however its spelled) and some Meclizine…. PLUS I have the BEST NURSE…Kay Moore…(she has this too)… I am forever thankful for her words of wisdom and for her taking great care of me!! Also to Angie Dishon for bringing Gatorade over to me when I so desperately needed it!! I LOVE YOU TWO!! 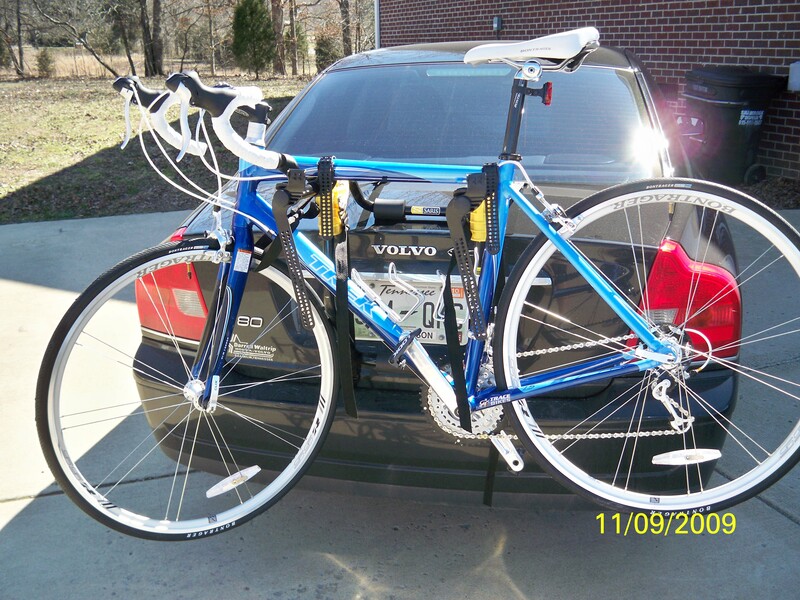 NOW….onto a better post… I GOT MY BIKE!!!!!!!!!!!!!!!!! HERE I AM AGAIN….complaining about another race… WHY do I even do them when I complain so much???? Because my “complaining” is actually my way of “LOVING” them!! I wasn’t too thrilled to be doing a “winter race”….as you will notice, I NEVER do winter races (and yes, anything below 40 degrees is considered a WINTER race to me)… however—- I have a friend who used to live here, MoPo (Melissa Poznanski) but now lives in Seattle and she asked me if I would run in a race with her….her FIRST RACE EVER! HOW COULD I REFUSE THAT???? 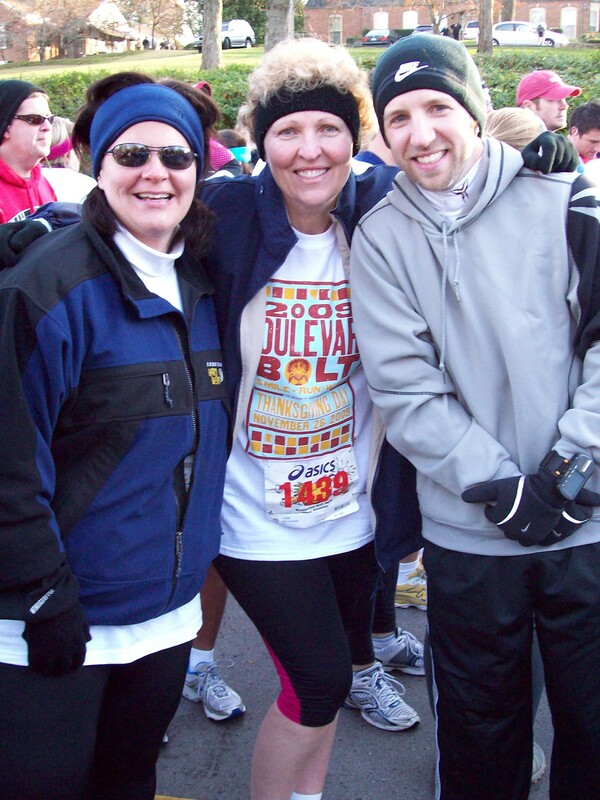 The Poznanski’s are here visiting for several days and I LOVE helping people get started into running….. I TRIED to get her into it when she lived here but … the timing was not quite right back then. ME, MoPo, BD… GETTIN READY!! CRAZY BD!!!! 23 MINUTES STRONGER THAN US!! Gotta love that hat though!! MoPo coming to the finish line!! 30 MINUTES STRONG!!! SLO-POK coming to finish line…teehee… 37 MINUTES WEAK…but still UNDER 40! 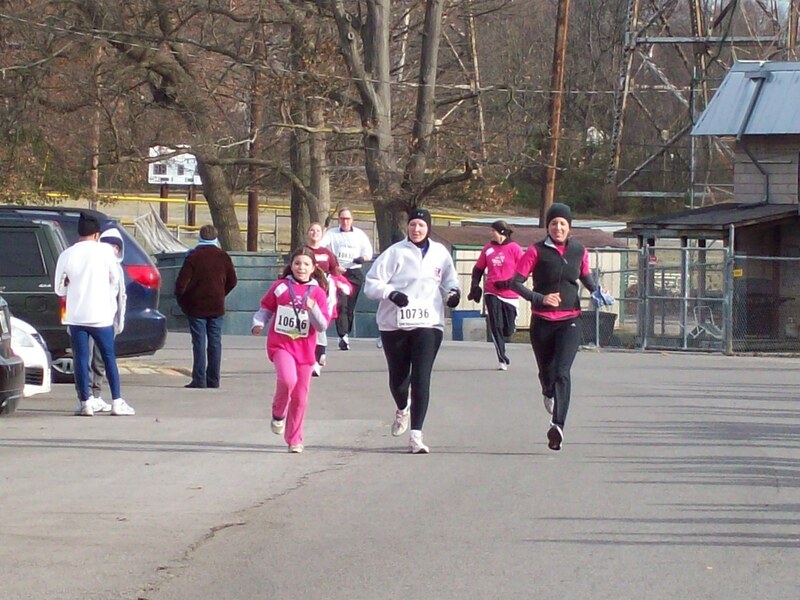 AND BTW, YES that little girl AND her mom beat me!!! LOL…. WHEN’S THE NEXT RACE????? 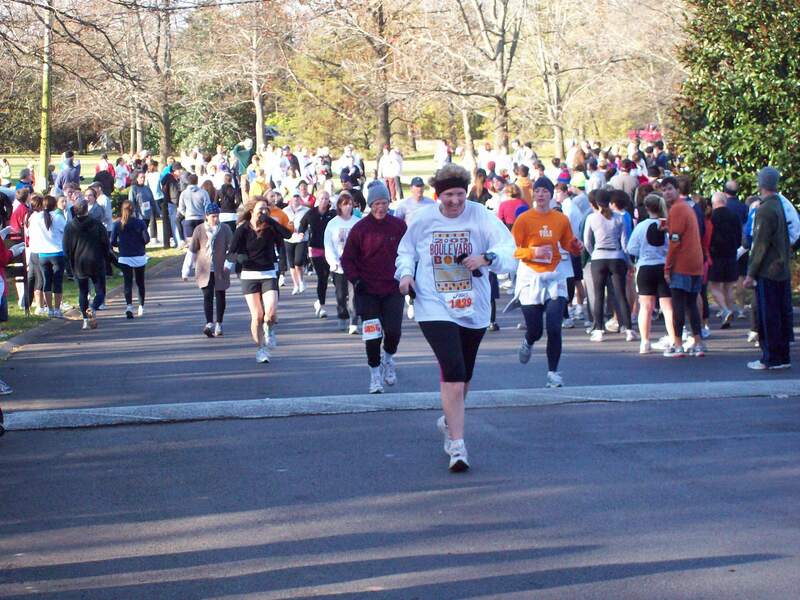 I believe it’s the COUNTRY MUSIC HALF MARATHON….who’s in peeps ?????????? So this year… I am doing something different for all you bloggers/FB’er’s our there..
For the next two weeks (for ANYONE who wants to participate) please leave a comment on what YOU want for Christmas this year (WITHIN REASON PEOPLE)… I will RANDOMLY pick one of you and get you the gift you would like and mail it to you. JUST BECAUSE. Also, if you feel the need to…please explain why you want this particular gift. Don’t look at it as “selfish” (as I know there are MANY people out there who do not receive gifts….let God take care of that too~ He’s taking care of this) just look at it as something GOD wants me to do. DO NOT BE A “BB”…. that means “Blessing Blocker”…. PLEASE! And even though I can only choose one….for the rest of you who leave your comments/wishes….look at it as therapy for ya!! Pretend like I’m Santa and you’re sitting on my lap—–get in touch with your “inner child”…. PS: IF YOU ARE READING THIS, YOU HAVE TO WRITE SOMETHING OR YOU CANNOT LOG OUT. DO YA KNOW WHAT IT IS?? 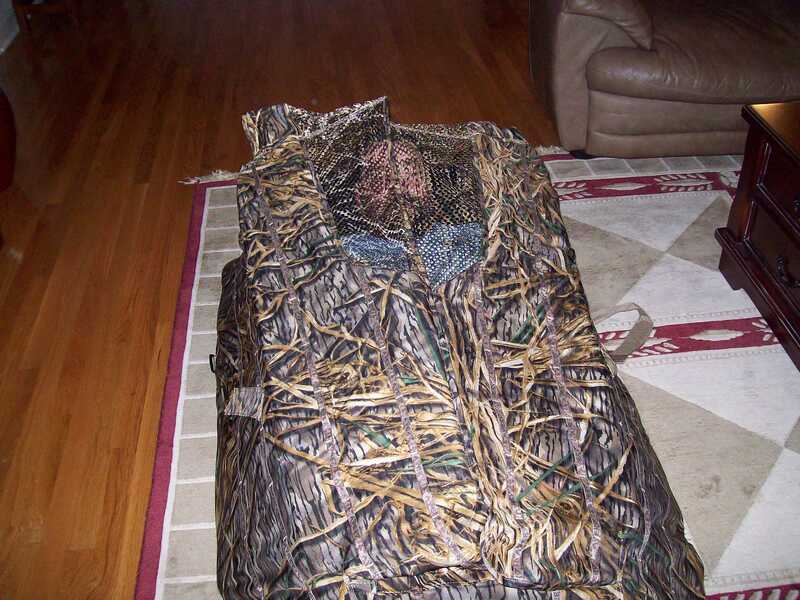 Can you see him laying in there??? 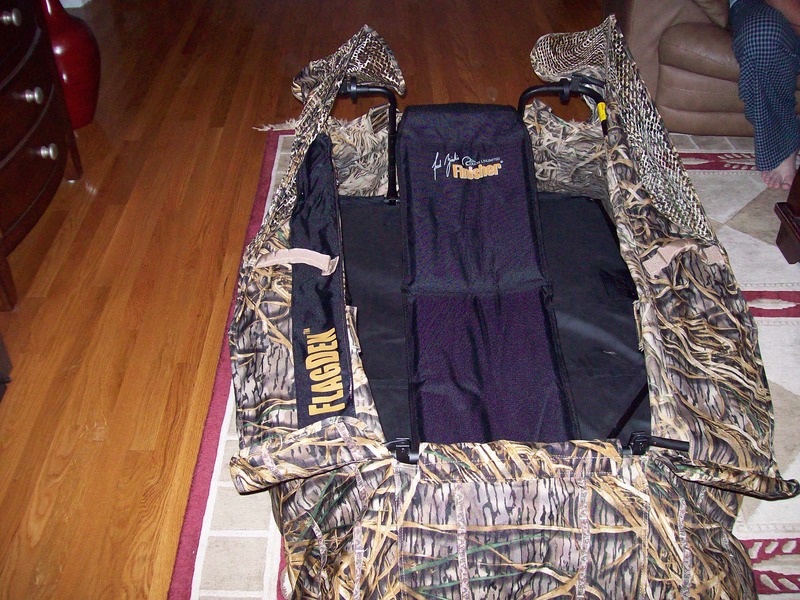 It’s CALLED a “Lay-Out Blind” and its for duck hunting. 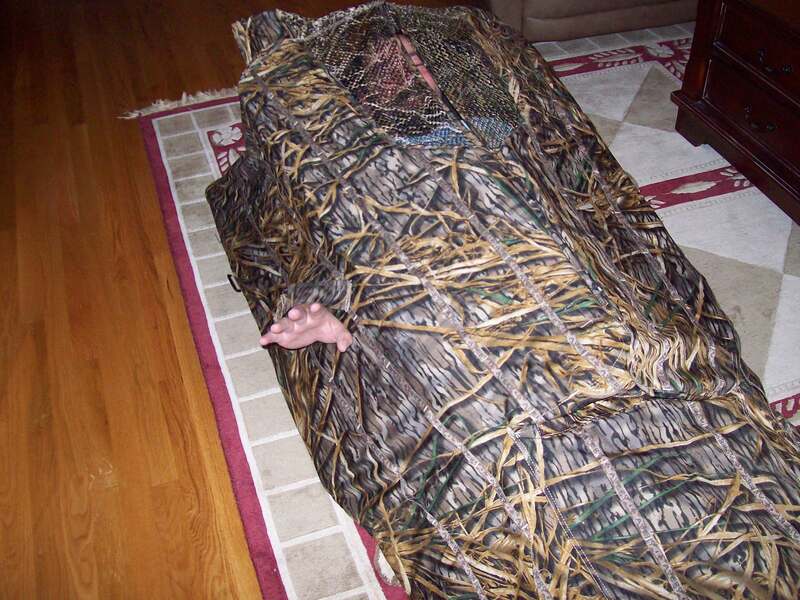 You lay in this blind (supposedly disguised so the ducks can’t see you) and when the ducks are flying overhead and come in for the landing…you WHIP OPEN the blind and start shooting.. This will be his coffin one day. Cheap, easy and that’s the way he wants it…. I finally found something (hunting related) that has a mulit-purpose to it. 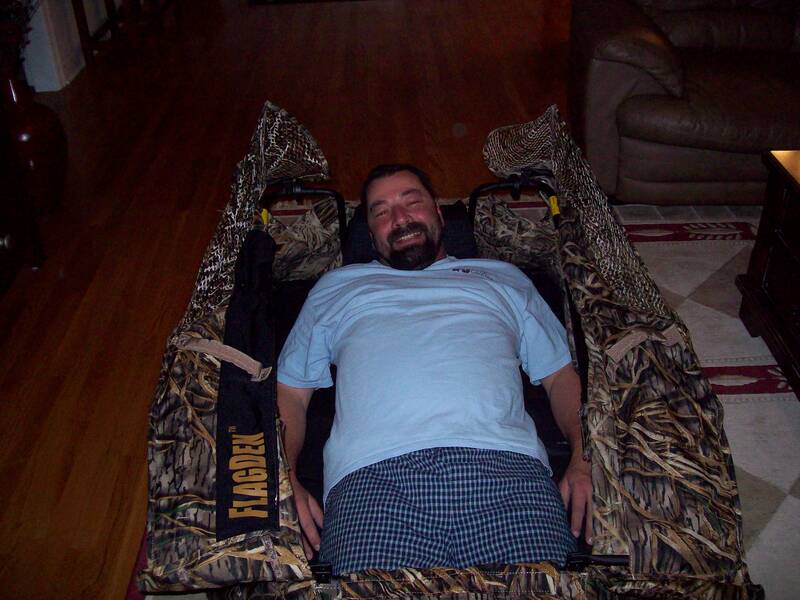 And in between hunting and dying, he can use it for when we get into arguments….no more sleeping in the dog house!! 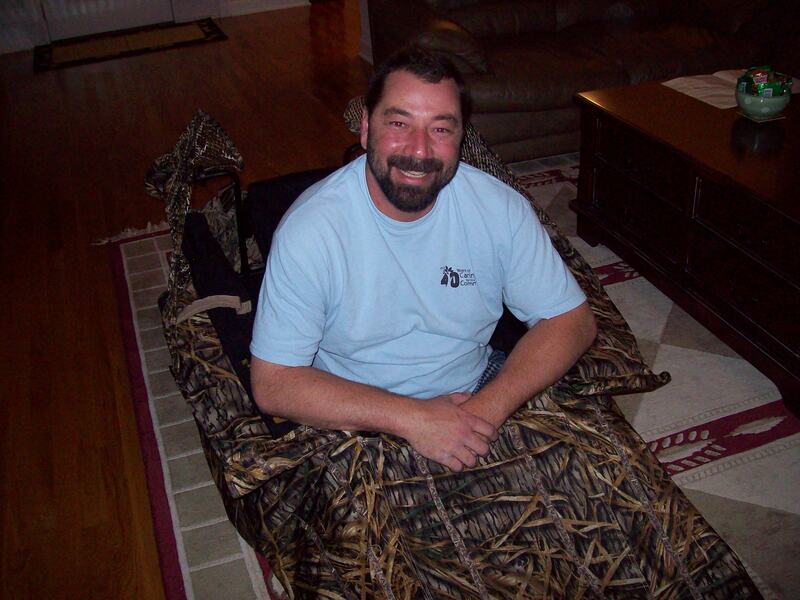 LOL (just kiddin)..
HAVE FUN ALL YOU AVID HUNTERS OUT THERE!!! 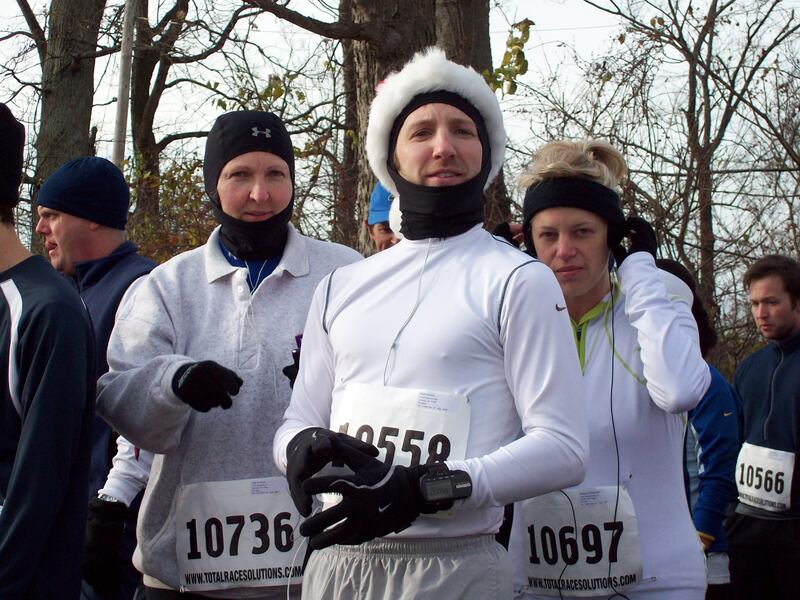 Today was my annual Boulevard Bolt Race… It was FREEZING out at 6:30a.m. this morning, but I endured! BD and Angie Dishon rode down to the race with us (BD participated, Angie stayed w/Karl as a spectator), plus we picked up my annual running partner, Lori Horner…OFF TO THE RACE!! 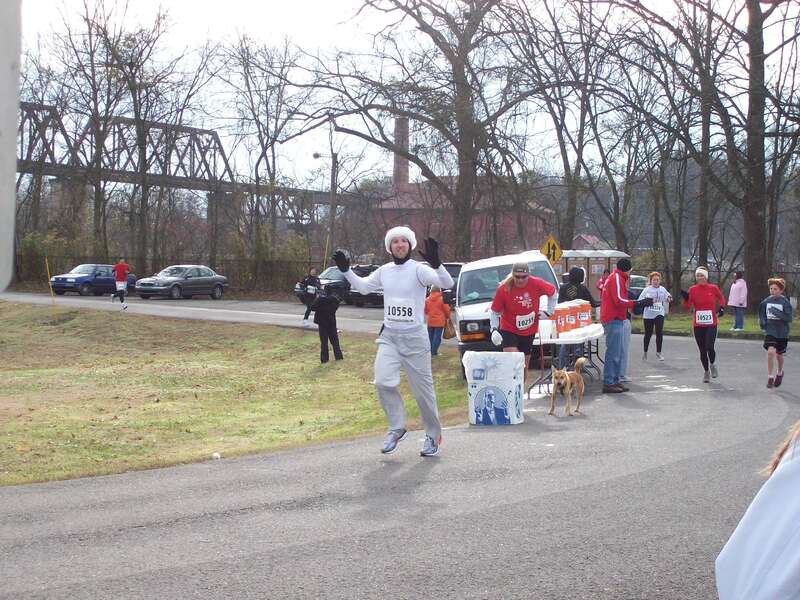 This is a five MILE race…WAY out of my normal 5K (3.1) races that I do..but WELL worth it!! HERE COMES BD (which is Brian Dishon, for those of you who don’t know him well enough)-HE IS UBER-FAST! LIGHTNING FAST BD! HE DOES 7min XXsec miles...AMAZING! 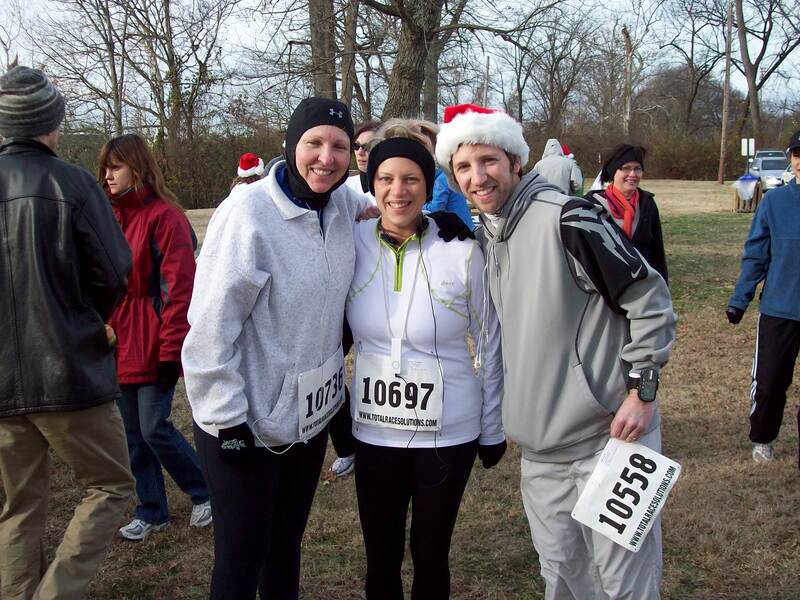 NEXT RACE: The Jingle Bell 5K.…. COME JOIN ME!!! Our friends from out-of-town will be here and joining in…Rob and Melissa Poznanski. HAPPY THANKSGIVING TO ALL MY FAITHFUL READERS.… I know I’ve been so lax on posting lately! !